Elliott saw this photo in KLM's inflight magazine and brought it home for me. He knows me well. 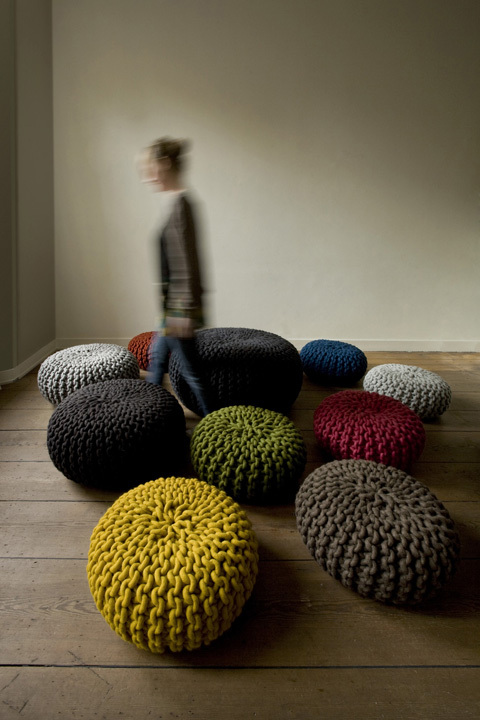 I'm completely smitten with Christien Meindertsma's oversized knitting projects, especially her "urchin poufs." Those are all BIG WOW for me. I've always wanted to try that myself! 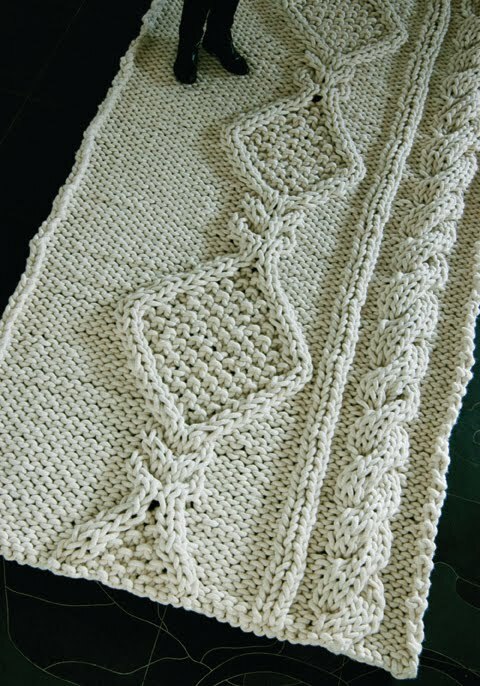 That yarn is amazing. My cats would have a ball with all that! 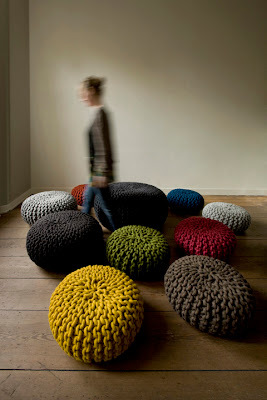 Love the poufs! Oh I love them! Been seeing them pop up in mags and store, and I think they're quite fabulous. Can't believe the size of her yarn and knitting needles though! Ha! Wow... The poufs are amazing! I love the colors of the poufs!! I really want to make one of those too! I've never tried this giant finger knitting but I've been seeing it around a lot lately and it looks like great fun. Everytime I see these on Pinterest I squeel. I love them. Where do you even get yarn that large? my cousin and i went to a felt shop in sf and those had huge felt poufs! 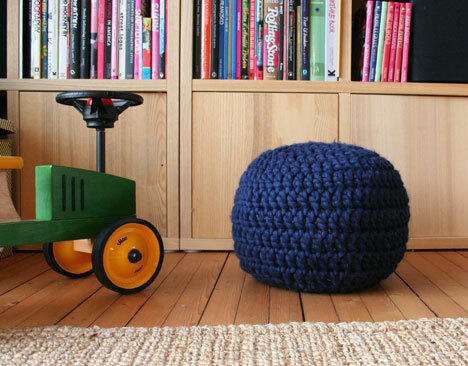 my cousin was obsessed and i might be obsessed with these knit poufs! I love them! I would like one in every room! I say: Freakin' Awesome!!! How fun!